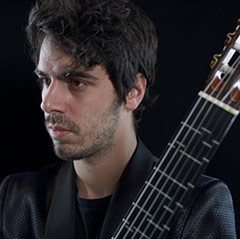 Mak Grgić (MM ’12, DMA ’16), an Artist Diploma candidate in the USC Thornton Classical Guitar program, has released an album, MAKrotonal, which uses specially re-fretted instruments to reexamine standard repertoire and to present newly commissioned works. Excerpts can be heard on Grgić’s website. Grgić serves as director of a number of music festivals worldwide and is also an adjunct faculty member at Mount Saint Mary’s University.